Hema Model MR50 rotary piston filler. 50 head filler. 304 stainless steel contact parts. Set for 307 x 111 cans at 1200 units per minute. Pistons are 1.968″ in diameter with a volume of 21.36 cu.in. Equipped with 290 gallon hopper. Filler has a no can/ no fill system. Driven by 12 hp drive motor. Requires 480 vac 3 phase electrical supply. Good Condition. 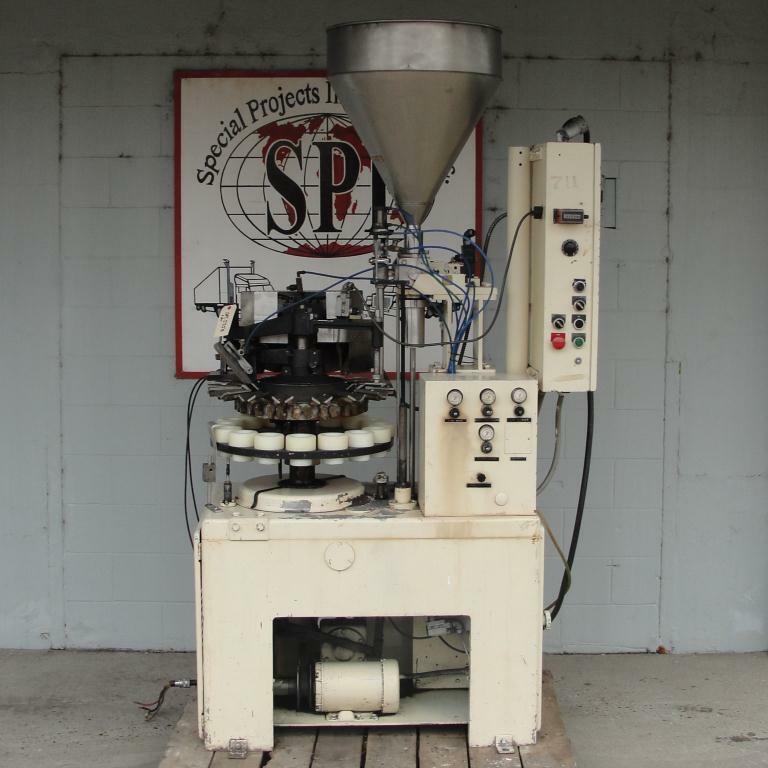 MRM Elgin model E 16 station rotary tube filler and sealer for plastic tubes. Capable of filling tubes from 1.65 oz to 16 oz. Currently set for 5 oz on 4″ centers. 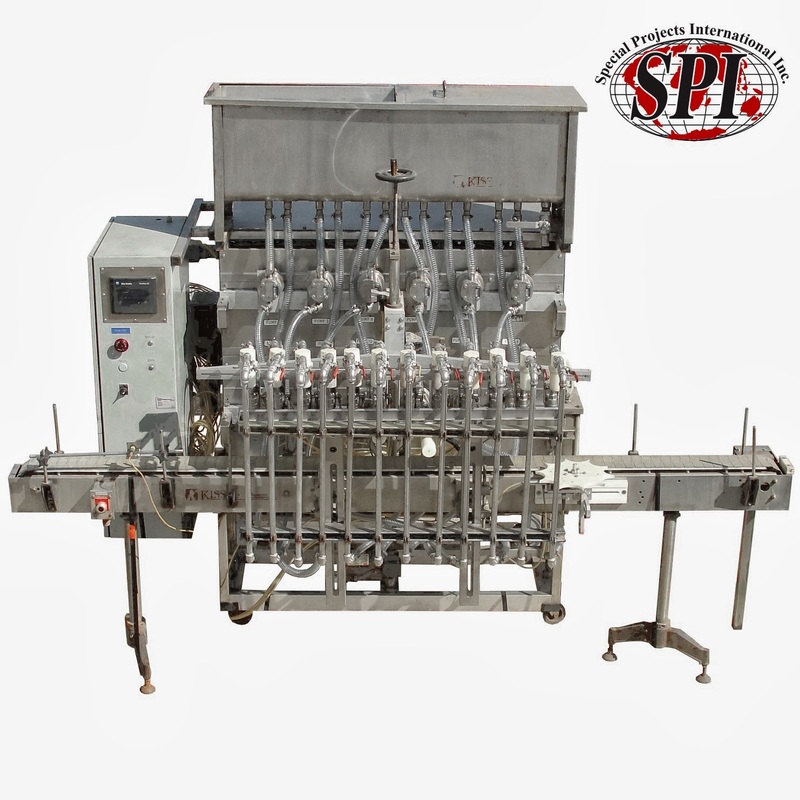 Tube filler is equipped with tube counter and bottom fill; tubes are raised up to fill from bottom up. Tube passes through heating zone and then crimped shut with water cooled jaws. Tube filler also comes with a stainless steel hopper. Serial # 74045. Requires 220 vac 3 phase electrical supply and 100 psi air and cooling water supply. Tested in working condition. Manual and test video is available. Hema Model MR50 rotary piston filler. 50 head filler. 304 stainless steel contact parts. Set for 307 x 111 cans at 1200 units per minute. Pistons are 1.968″ in diameter with a volume of 21.36 cu.in. Equipped with 290 gallon hopper. Filler has a no can/ no fill system. Driven by 12 hp drive motor. Requires 480 vac 3 ph electrical supply. Good Condition. 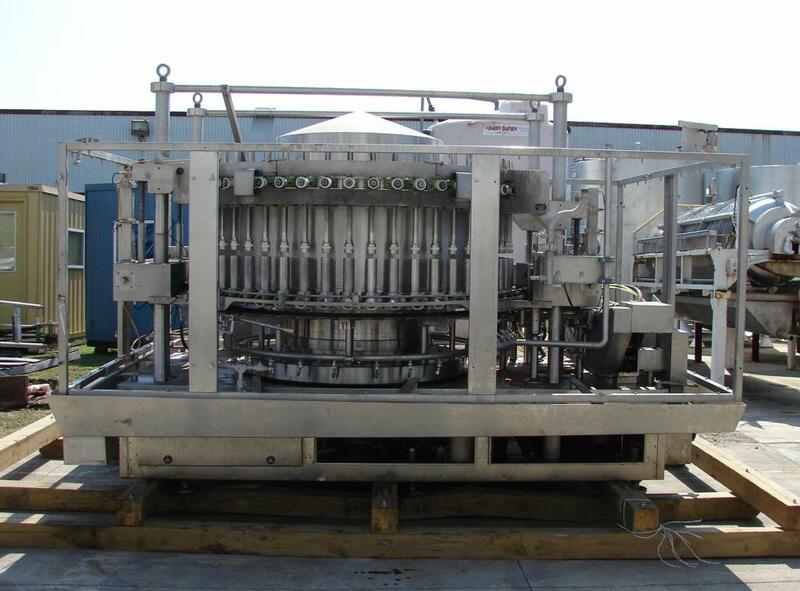 Horix model HFSG36 rotary gravity filler for sanitary glass jars or metal cans. The 36 valve filler has a steam heated type 316 stainless steel bowl, a left hand feed, 1″ nozzles on 5.5″ centers, and speeds up to an estimated 335 cpm. Filler was last filling 32 oz jars of spaghetti sauce. Overall dimensions are 64″ wide x 96″ long x 96″ tall. Requires 220 vac 3 phase electrical supply. Good condition.